Match the data samples with their types. 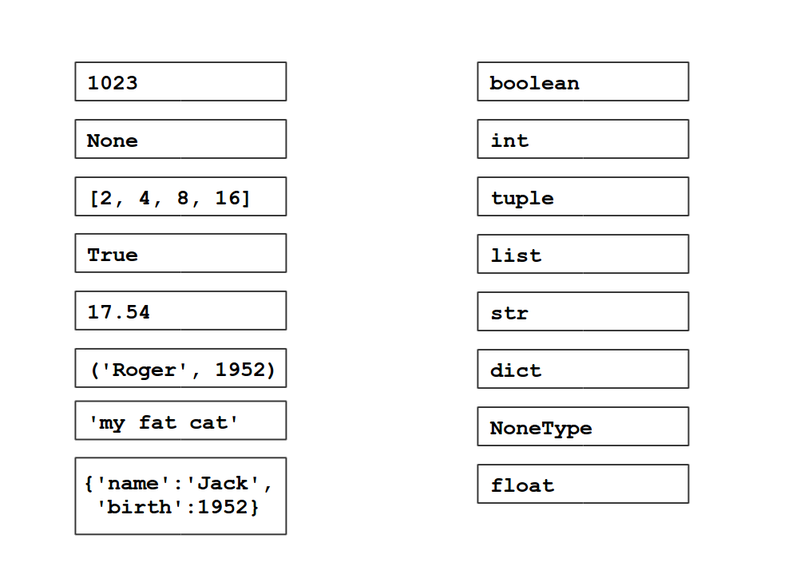 In Python there are basic and composite data types. The values of basic data types cannot be changed, they are immutable. Most of the composite data types are mutable.